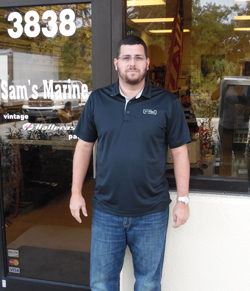 Sam's Marine International is celebrating its 20th anniversary. The company was started in 1999 when Steve McPherson and Doug Langley, two long time Hatteras Yachts employees, left the manufacturer to start Sam's Marine and partner with Hatteras to provide a superior level of parts and service for yachts produced over the past six decades. The company maintains locations in central NC and South Florida and specializes in replacement parts for Hatteras and Cabo Yachts. 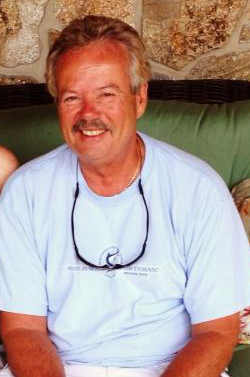 For more than 27 years, Stephen Allen McPherson (aka SAM), headed up the Hatteras Yachts parts department helping owners and dealers throughout the world. Steve's product knowledge and committment to old fashioned customer service defines the company's mission statement. Doug worked with Hatteras as the company's IT Director for 25 years and today serves as the CFO for Sam's. 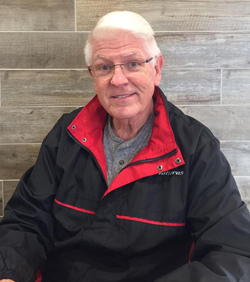 Doug founded the PropellerPlace.com division of Sam's Marine and also owns Line Drive Graphics & Deep River Traders which offers screen and digital apparel printing, embroidery and corporate fulfillment services. 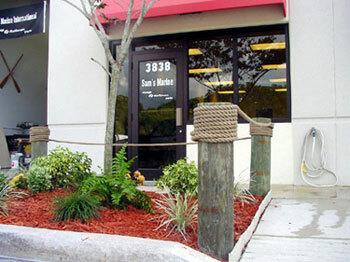 In 2002, Sam's Marine opened its second location in Fort Lauderdale. 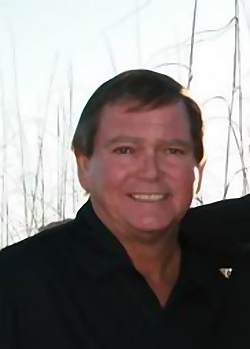 Ed Tysenn, formally with Hatteras of Lauderdale & Allied Marine, came on board to head up the new location. Ed's years of experience with the Hatteras product earned him the nickname "Hatteras Dictionary" in the South Florida area. 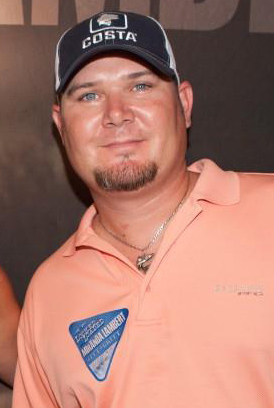 Jeremy worked as a parts service rep in Fort Lauderdale for 12 years before relocating to the NC facility in 2016. Jeremy continues to work as a parts rep and also handles purchasing responsibilities. 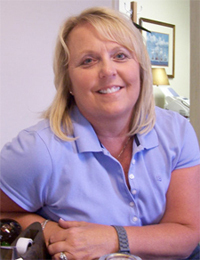 Karen works in the NC headquarters location as the corporate controller in charge of all accounting functions. 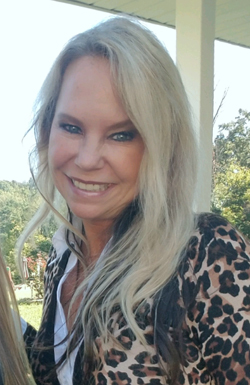 Handles payroll, human resources and owner updates out of the North Carolina office. 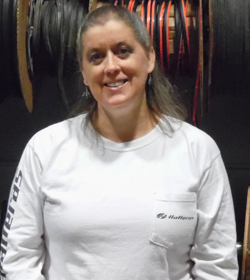 Alex works as a parts sales rep in the Fort Lauderdale location, handles administrative duties and oversees all warehouse and inventory functions in Lauderdale. Handles shipping & receiving and warehouse duties in the Fort Lauderdale location. 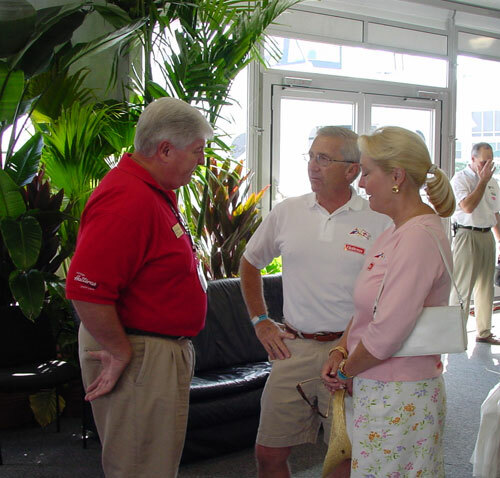 Steve talks with customers at the Lauderdale International Boat Show. 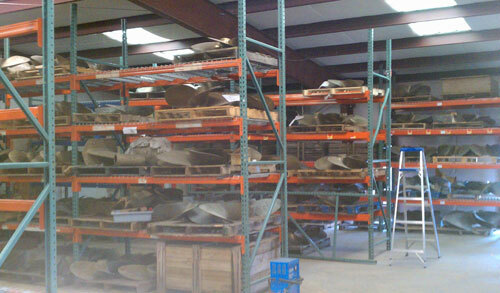 Sam's Marine's PropellerPlace.com division has the largest inventory of used inboard propellers in the world.